These two panels are part of a ten panel set that dressed a double door entryway. 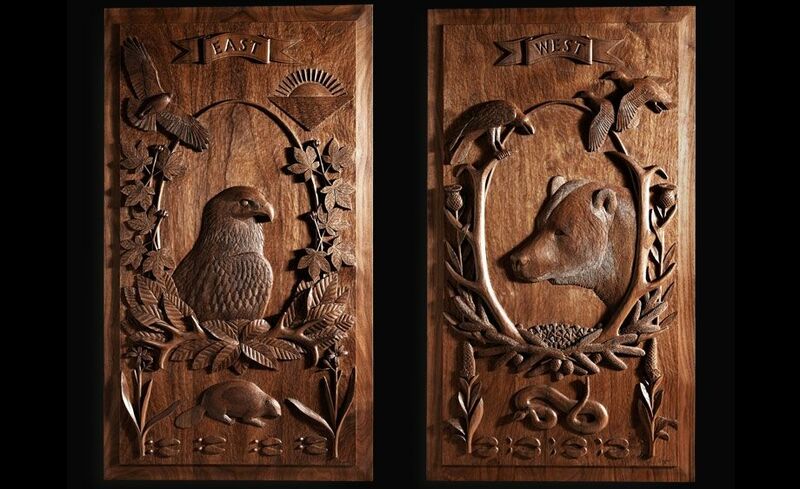 They are all carved by hand using very old chisels and finished with durable oil. The carved entryway celebrates early Native hunting societies and the Lakota Medicine Wheel.